When you buy or sell a home in Massachusetts, title is shifted from one person to another. The person transferring title is known as the "grantor," while the person to whom title is passed is the "grantee." Deeds are legal instruments in writing that pass or transfer title in real property from one person or entity to another. Most are signed under seal. Title is taken in different ways, and deeds may include specific promises or covenants from the grantor to the grantee. One of these covenants may be the covenant of further assurances. The Boston real estate lawyers at Pulgini & Norton can help you navigate what may be among the biggest sales or purchases of your life. There are six possible covenants that deeds in Massachusetts may include. Some of these are considered present covenants, such as the covenant of seisin, the covenant of the right to convey, and the covenant against encumbrances. If a present covenant or promise is breached, it is breached when the deed is delivered from the grantor to the grantee. This means the statute of limitations starts to run on bringing a real estate lawsuit as soon as the deed is delivered. The covenant of further assurances, along with the covenant of quiet enjoyment and the covenant of general warranty, is considered a future covenant. Each of these covenants promises different things, and they are breached, if at all, later than the delivery of the deed. The covenant of warranty promises that the grantor will, in the future, warrant and defend the grantee's title against anyone else's legal claim of having an interest in or encumbrance against the property. An encumbrance is a claim by a third party against the land. The claim could be a mortgage or lien. A covenant of further assurances is the related promise that the grantor will do whatever is necessary to remove a defect associated with title, such as an encumbrance, if it arises, and if the problem is not fixed, damages will be awarded. The express promise of doing whatever is necessary is a huge promise. It means that if the grantor's title was imperfect, the grantor will do whatever is possible to perfect title, including paying off a mortgage, for example. There may be some overlap with the covenant of general warranty in that a grantor might need to hire attorneys and pay fees in order to clear title. More often, it means the seller will execute whichever other legal documents are necessary to make sure that title defects are fixed. However, if there is no way to fix the problem, damages will be awarded to the grantee, usually in the amount of the diminution in value of the home. This amount should not exceed the purchase price. Once an express covenant has been included in a deed, it cannot be changed based on evidence external to the deed, such as an email or verbal agreement. Conversely, there is no covenant of further assurances if the grantor of the deed simply promised over the phone to do whatever was necessary to remove title defects. 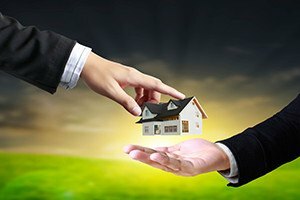 Whether you are a buyer, seller, or lender, the type of deed conveyed and the promises made in the deed can make a difference regarding what happens in the future with a piece of real estate. Our experienced Boston real estate attorneys can help you negotiate a deed that includes a covenant of further assurances or other promises. Our firm also advises and represents buyers, sellers, and lenders in Malden, Medford, Lowell, and other cities in Massachusetts. Call us at 781-843-2200 or contact us via our online form for a free consultation with a property transactions attorney.